If you have never heard about milk Kefir before, you should. Milk Kefir and yogurt may seem similar. But they are different, entirely different. Milk Kefir contains double or triple amount of probiotic bacteria than yogurt. They also contain beneficial yeasts which is absent in yogurt. I will do another post on how to make milk Kefir from Kefir grains later. By the way,there is an additional tip; you can make a little tangy and thick yogurt at home using 2 tbsp of plain milk kefir as starter. Also see How to make yogurt at home using store-bought yogurt as starter without any special equipments. 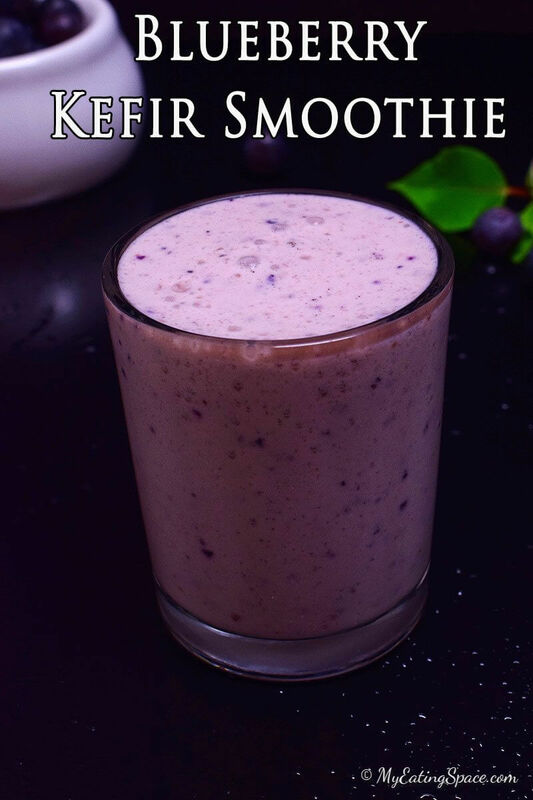 Coming to Kefir smoothie, Kefir is not as thick as yogurt and is of pouring consistency. They are also called as drinking yogurt. So no additional liquid is needed which makes it watery. We can add any fruit to make the smoothies. Banana gives an extra thickness to the smoothie. My family got addicted in the first trial of flavored Kefir smoothies. 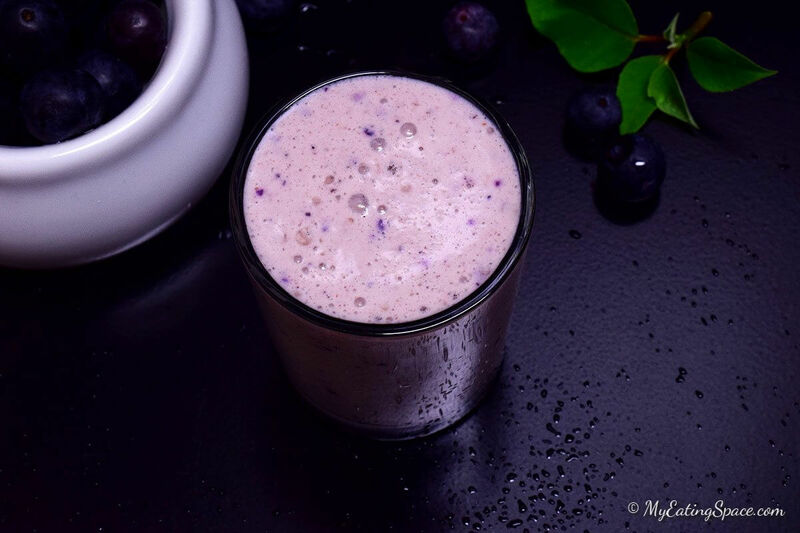 The first flavored kefir I tried was Lifeway’s Blueberry kefir from Walmart. From there I started the journey to making my own kefir. I researched a lot and ordered my first starter Kefir grains from ‘Cultures for Health‘. The grains were activated within 4 days. Then I made my first batch of homemade kefir. 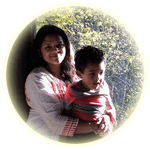 And we are enjoying different flavors of milk kefir to this day. In India, we love to drink buttermilk during summer as it is an ultimate thirst quencher. Now that I know how to make Kefir, I’m planning to add Kefir smoothie as my first option for summer drinks. 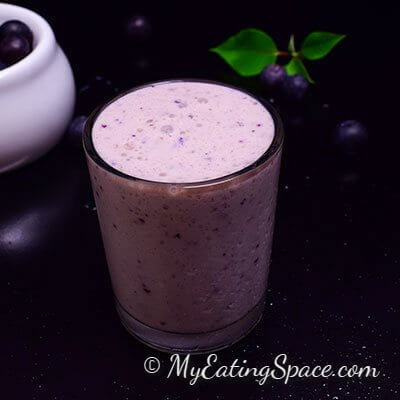 And here is my little boy’s favorite blueberry Kefir smoothie. 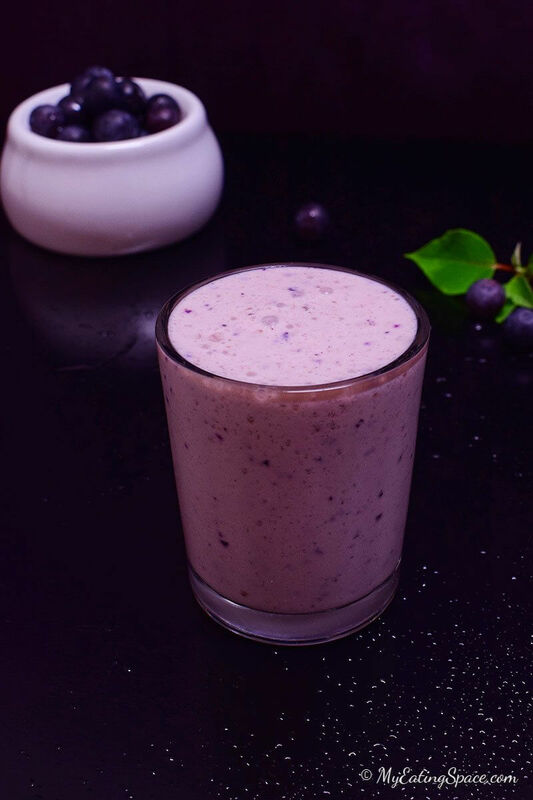 Milk Kefir smoothie flavored with blueberry is a creamy, probiotic rich drink with lots of antioxidants. They are good as summer drink, breakfast or snack. This good for gut drink make your health better for many reasons. Blend the fresh and frozen blueberries and sugar to make a smooth paste. Then add milk kefir and blend again for 10 seconds just to mix well.